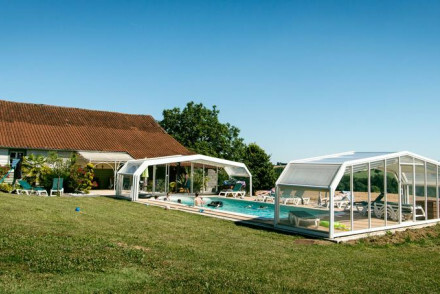 Stylish accommodation in the heart of the Lot-et-Garonne, just 6km from Agen. Spacious rooms have had a white wash yet their original features remain including exposed beams and fireplaces. Indulgent breakfasts are served, there's an enormous pool and acres of parkland to explore. A picture perfect converted coach house set in the heart of historic Nerac. Spacious rooms have beed perfectly styled to blend the old and new. Spend time catching up on reading in the library, playing a board game or exploring the local sights by bicycle. Charming. Local exploring - Surrounded by historical and gastronomical attractions this converted coach house makes an ideal base for exploring the region. Sights nearby - The Castle of Henry IV, an impressive chateau that dominates the landscape, is a short walk away from the property. Charming 100-year-old country house in Lot-et-Garonne offering bright, contemporary rooms decorated with rustic furnishings. Engulfed by rolling hills peppered with villages, lush orchards and vineyards. Guests can kayak, play table-tennis, ride horses, fish for trout and swim. Back to Nature - In nature's arms, whether you're kayaking down the quiet rivers that snake the hills or horseriding through sunflower fields. Fishing - Trout fishing is possible near the property. Kayaking - Kayaking is possible near the property. Swimming Pool - Seasonal outdoor pool. A charming B&B in the heart of Lot-et-Garonne. Spacious and contemporary rooms offer tiled marble bathrooms and gorgeous, unobstructed views of the surrounding countryside. Guests can enjoy the cosy lounge, outdoor pool and pretty garden. 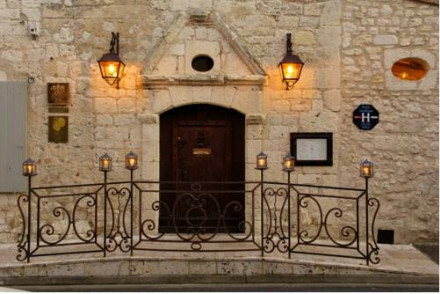 An atmospheric restaurant serves traditional French cuisine. Foodies - The restaurant serves excellent traditional French cuisine. 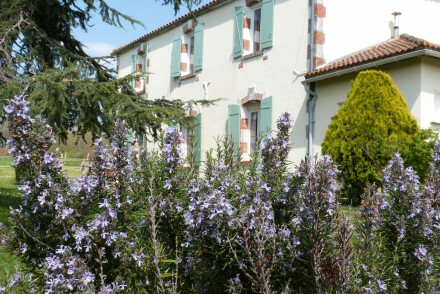 Country Escape - A perfectly secluded hotel in rural Lot-et-Garonne. Great walks - Take long scenic walks straight from the property. 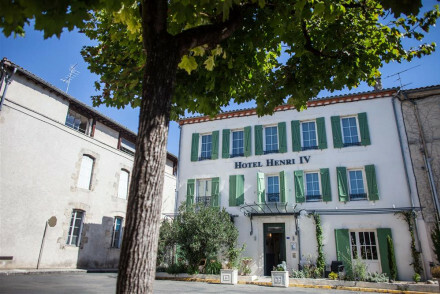 A stylish boutique hotel located in a picturesque spot a short drive outside of Agen. Offering a handful of rooms whose individual style perfectly epitomise rustic chic. Outside there's plenty to keep busy with from heated pool to badminton court. Perfect for summer family holidays. Simple, stylish accommodation in the little village of Saint Pierre de Caubel. 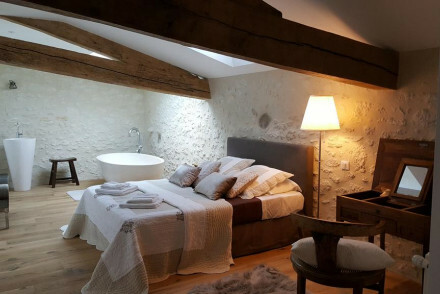 Charming rooms feature crisp white linen, exposed stone and wooden beams. On-site facilities include a seasonal outdoor swimming pool, games room, bar and garden. A relaxing rural escape. Back to Nature - Set in a secluded spot, the property is surrounded by rolling green vineyards and sunflower fields. Families - There is a children's playhouse in the garden. Local markets - Weekly markets run in the surrounding towns selling local produce. Great walks - Take long walks through the scenic Parc-en-Ciel. Charming country house outside of Villeneuve-sur-Lot offering warm and rustic rooms with exposed stone walls and chequered tile bathrooms. Guests can enjoy the heated outdoor swimming pool, enclosed by thickets of trees, and a beautifully-maintained garden. 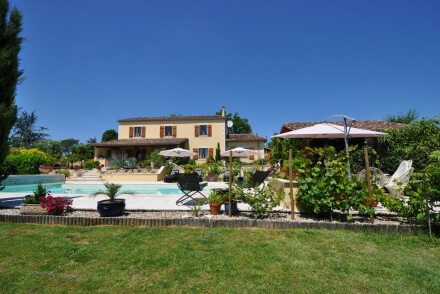 Country Escape - In a garden enclosed by woodland, surrounded by the vineyards of Lot-et-Garonne. 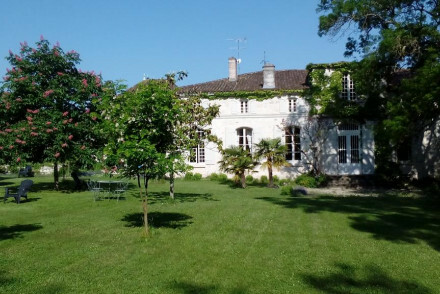 Beautifully restored country mansion in the heart of Lot et Garronne. Interiors are cosy and classic with exposed stone, antique furniture and beamed ceilings. Meals are served on the veranda and use quality local produce. A charming base to explore this historic and gastronomic region. Total relaxation - Whether you're having breakfast on the veranda or a dip in the pool after a day of exploring, your troubles will wither away. Sights nearby - The Chateau de Bonaguil, a brutal and foreboding medieval castle near Fumel, is a 1h drive away. 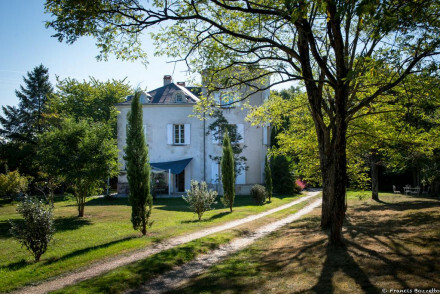 A charming 18th century mansion north of Agen standing amongst 25 hectares of meadow and woodland. The rooms are elegant yet simply styled with traditional furnishings and fabulous views of the valley. Surrounded by beautiful walking country, this is an ideal country escape. A chic boutique hotel in Villareal offering a tranquil spot to explore the region. Characterful rooms perfectly mix antique furniture and modern artworks. Facilities include a wellness centre, garden, outdoor pool, bike hire, restaurant and bar. Spa breaks - Full range of spa treatments on offer from body massages to beauty treatments. Sights nearby - The Chateau de Monbazillac, a 16th century winery estate and stunning example of Renaissance architecture, is 15 miles away. Great walks - Explore the picturesque surrounding countryside on long walks. 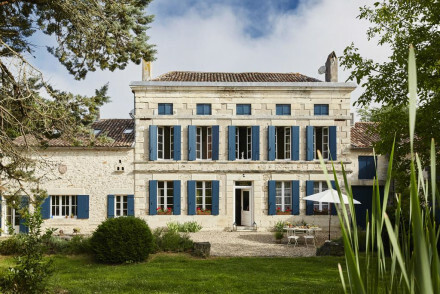 Charming 18th century farmhouse on the Wine Route between Buzet and Saint-Emilion, offering comfortable, traditional en-suite rooms decorated with paintings and antiques. Guests can enjoy the outdoor pool, solarium pool, lounge, library and sunny terrace. A relaxing rural escape. Total relaxation - There is a heated outdoor swimming pool, indoor solarium pool and plenty of quiet spots to curl up with a book. Effortlessly suave hotel in the heart of rural Duras, offering rooms, suites and a cottage with breathtaking views of the countryside. The en-suite rooms combine old-fashioned rustic charm with contemporary comforts and bright, modern bathrooms. There's a wellness centre and glorious outdoor pool. 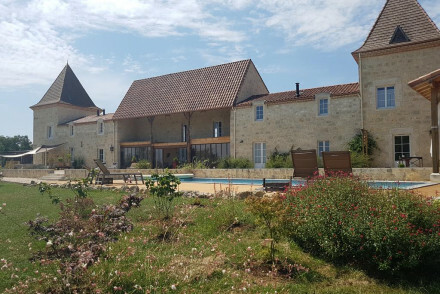 Local exploring - Duras is a great base for exploring the Lot et Garonne and further afield. Sights nearby - Monbazillac Castle, a 16th century chateau and winery, is 19 miles away and has a fine collection of period furniture and art. Great walks - Surrounded by countless fields and vineyards with old country lanes winding, narrow, down hills. 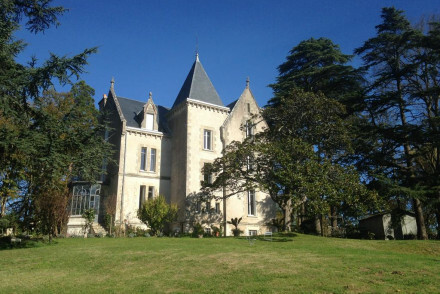 Fairytale-esque 19th century chateau in St-Martin-Petit, offering bright and romantic rooms with spectacular views of the countryside. Filled with antiques and artworks. Flanked by vineyards, guests can enjoy the heated outdoor pool, walks in the picturesque surrounding parkland and cycling. Back to Nature - Surrounded by lush meadows in a pretty park that runs adjacent to countless vineyards. 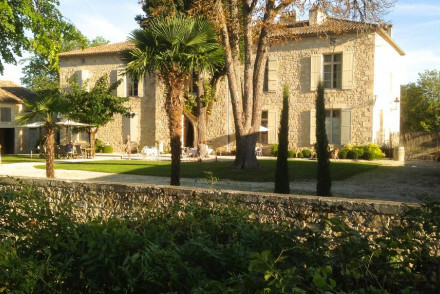 An 18th century chateau in the heart of the Lot valley, offering warm, sophisticated rooms and a cottage. Guests can enjoy the swimming pool, garden, table tennis and library on the property. 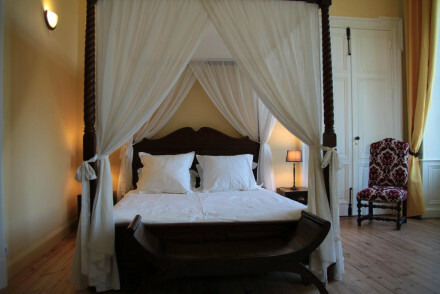 Rooms are traditionally dressed with large sash windows, antique furniture and soft hues. A charming stay. Country Escape - Secluded by woodland and surrounded by the famous, plentiful vineyards of the Lot et Garonne. Spa breaks - There are a range of massage and beauty treatments on offer. Traditional accommodation nestled deep in the countryside surrounding Duras, offering rooms and suites with gorgeous views of the gardens. The decor is the definition of rustic charm, with exposed stone, old artworks and archaic tapestries. There's a shared lounge and heated outdoor pool. Local exploring - Whether it's traversing the footpaths that straddle the medieval "bastide" towns or the countless vineyards, you won't be bored. 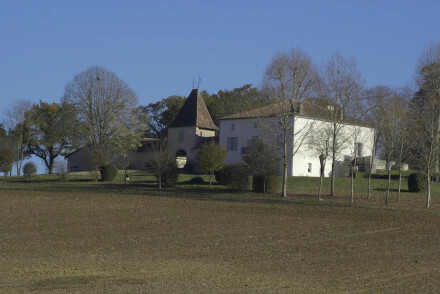 Sights nearby - Monbazillac Castle, a 16th century chateau and winery is 14.6 miles away. 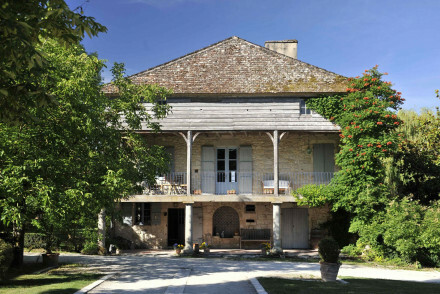 An impressive and historic house in the heart of pretty Gascon. Elegant and spacious rooms are traditionally furnished with exposed stone walls and antiques. Set in acres of beautiful gardens. A charming place that transports you back through the ages. Charming B&B set at the gates of the Dordogne and just a short drive from Villeneuve-sur-Lot. Rooms are classically inspired with soft hues, natural materials and plenty of light. Everything has been thought of to stay entertained on-site from board games to the glorious pool. A perfect rural break. Total relaxation - A gorgeous rural space designed to completely unwind in. Sights nearby - Villeneuve-sur-Lot, a "bastide" town, is only a 10 minute drive away. 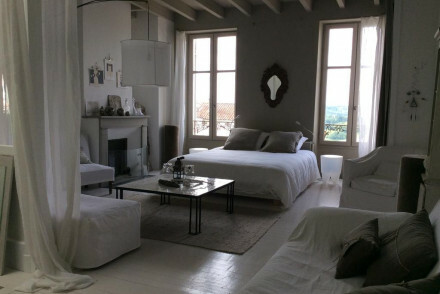 An artsy B&B set in the picturesque village of Penne d'Agenais. Beautifully designed rooms mix the old and new giving a rustic chic feel. Breakfast is served in a pretty enclosed square and dinners can be ordered on request. A charming spot to explore the region from. Value chic - The light, spacious and artsy rooms are gorgeously decorated in a rustic-meets-minimalism style. Local markets - Only six miles from the famous market at Villeneuve-sur-Lot. 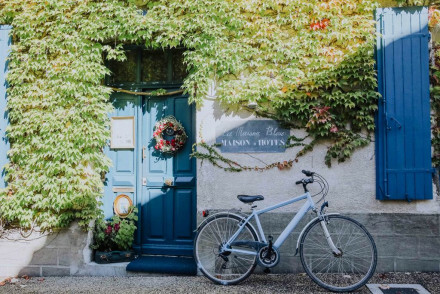 Bohemian-style boutique hotel in the heart of Lot-et-Garonne offering chic designer en-suite rooms with handcrafted cashmere spring mattresses, complimentary local wine and a coffee machine. Guests can enjoy on-site tennis, the outdoor swimming pool and free bike hire. Country Escape - A glorious country house surrounded by picturesque countryside and acres of vineyards. 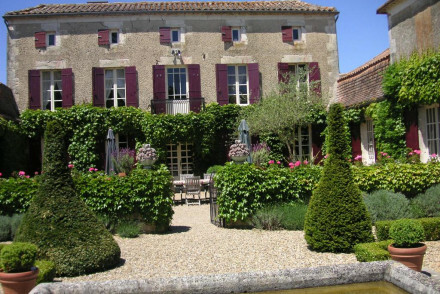 Beautiful country house straddled by blooming gardens in Lot-et-Garonne, surrounded by fields of sunflowers and vineyards. 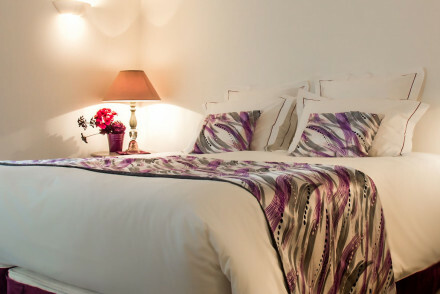 Offering bright and modern rooms ideal for couples looking for a unique getaway. The rooms are strewn with antiques and artworks and activities such as archery are available. Active Holiday - Whether it's archery, touring prehistoric caves, the medieval bastide towns or trips to wineries, this hotel has got it covered. Sights nearby - Minibus tours to prehistoric caves, Sarlat, the bastide towns and local markets can be organised. Charming guesthouse in the heart of Lot-et-Garonne, offering traditionally-furnished rooms. Facilities include a garden, furnished terrace and a library. Guests can enjoy the heated outdoor swimming pool, play a game of darts or have a drink by the fireplace. 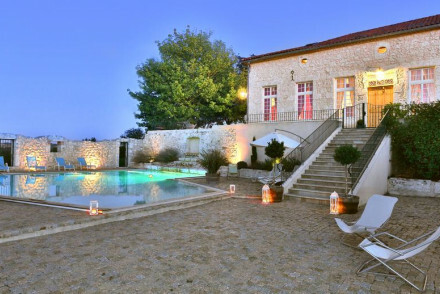 Country Escape - Surrounded by the fortified bastides of the hill country and vineyards that seemingly stretch on forever. 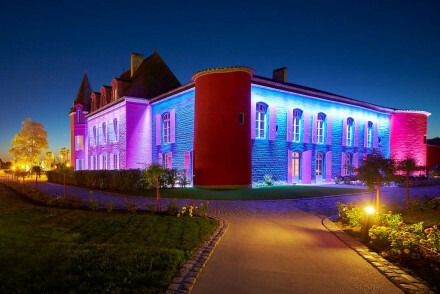 Sights nearby - Visit the impressive Monbazillac Castle. 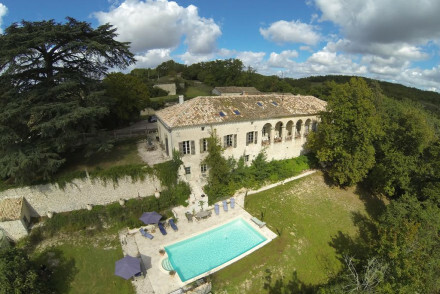 Charming renovated 18th century mansion with stunning views of the Tolzac Valley. Spacious and elegant rooms are traditionally dressed with softly patterned fabrics and antiques. Boasting a stunning outdoor swimming pool, wellness centre, shopping service and meals available on request. Spa breaks - The Spa boasts a jacuzzi, sauna and gym, and outside there is a hydromassage bench. Sights nearby - The fortified medieval "bastide" towns litter the hills surrounding the hotel. Great walks - Take scenic walks along the nearby Canal du Midi. 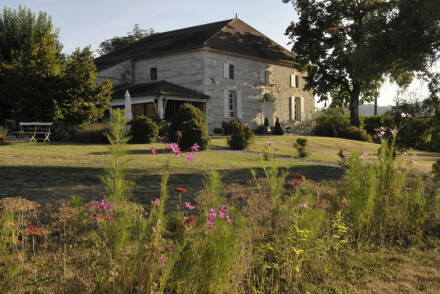 Stunning 19th century manor set within picturesque gardens overlooking the Garonne Valley. Old-fashioned, romantic, en-suite rooms feature hardwood flooring and marble fireplaces. The best have private balconies. Ideal for weddings or romantic getaways. 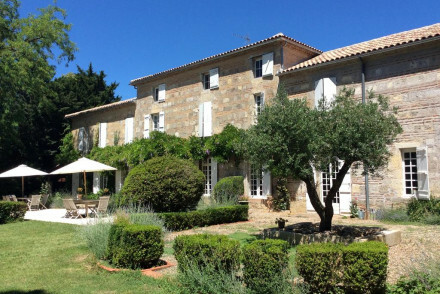 Country Escape - Looming over the Garonne Valley, standing atop the Marmande hills, surrounded by 16 hectares of gardens. Weddings - The hotel doubles up as a wedding venue. Sights nearby - The fortified medieval "bastide" towns of Lot-et-Garonne pepper the surrounding hills. 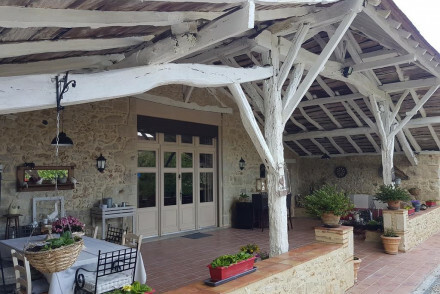 Stylish accommodation in Lot-et-Garonne with stunning views of a wooded valley, offering bright and minimalist en-suite rooms furnished with antiques and rustic flourishes. Guests can enjoy the outdoor salt water pool, the wine-bar in an outbuilding or the views of horses in nearby meadows. Total relaxation - Whether you're lounging in the saltwater pool or tasting wine in the outbuilding, the hours will dissolve away. Foodies - The table d'hotes uses only locally-sourced ingredients: the duck is a must-try. 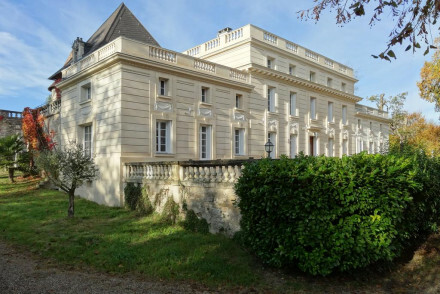 Beautiful chateau in Vianne standing stark in a large park, offering elegant rooms with antique furniture, chequered marble tiles and rare objet d'art. There is a library, three receptions rooms and a terrace ideal for lounging in the sun. An elegant rural escape. Total relaxation - Whether you're playing darts or badminton or soaking in the swimming pool, the hours will gently while away. Local markets - There is a weekly market in Agen. Swimming Pool - Seasonal outdoor swimming pool. 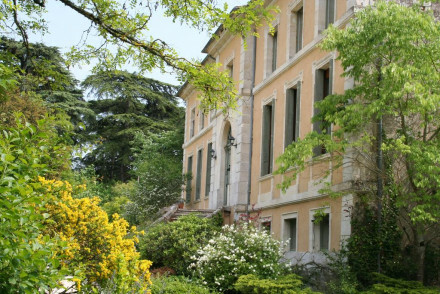 A beautiful 700-year-old chateau hidden away in a pretty Gascon village. The three suites are spacious and grand and each are made up of a number of bedrooms. Expect antiques, artworks, traditional fabrics and large fireplaces. The grounds are equally impressive. A regal rural stay. A 17th century chateau surrounded by a moat just a few miles from Villereal. Traditionally-furnished rooms are elegant and light with large windows, parquet floors and high ceilings. Set in glorious mature grounds and offering everything from horse treks to cycling. The perfect rural escape. A charming B&B in the heart of Lot-et-Garonne. Offering traditionally-furnished rooms with a bright, minimalist decor, complete with wooden beams and exposed stone walls. Guests can enjoy free-to-use bikes, private parking, table tennis, an outdoor pool, BBQ facilities and a beautiful garden. 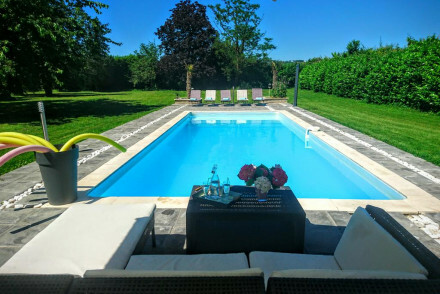 Hideaway - Nestled deep in the countryside, north of Agen, and surrounded by countless vineyards. Ideal holiday hideaway! A gorgeous 15th century manor house now a hotel. All rooms are themed, with exposed brickwork and chic furnishings. Acres of garden and woods, outdoor pool and spa area. A short drive from the town of Agen, with golf and walks nearby. A stunning choice for couples or families. Romantic Break - A stunning setting for a romantic weekend away. Historic - A beautiful 14th century building. 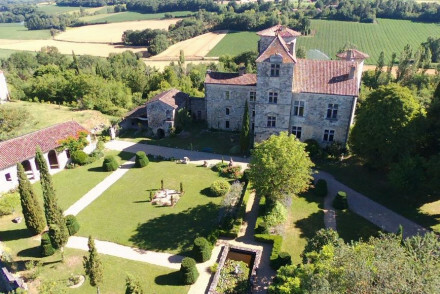 Dreamlike 16th century chateau and resort in Lot et Garonne standing bright within beautiful mature parkland. Rooms are boldly styled mixing old and new styles. Boasting two restaurants, a chic bar, carousel, 18-hole mini-golf course and outdoor pool. A quirky take on a rural french stay. Spa breaks - Spa facilities include a gym, pool, massage and beauty treatments, sauna and steam room. A 13th century mansion renovated with impeccable style. A Five Star luxury hotel with interiors that combine tradition, elegance, and inventiveness. Beautiful rooms and a suite have lavish decoration. Fabulous French restaurant and a chic swimming pool and bar area. Very romantic. Romantic Break - Sumptuous rooms with intriguing decorations. Foodies - Fabulous French restaurant. Traditional - A 13th century building not far from Toulouse.